Soda Lime: High Quality CO₂ Absorbents | Premier Chemicals Ltd.
Premier Chemicals is the global distributor of Intersorb® and Spherasorb® soda lime products for the removal of Carbon Dioxide (CO₂), and other acid gases, in breathable and industrial gas applications.Intersorb® and Spherasorb® are manufactured in the UK by Intersurgical Ltd, a global supplier of medical consumables for respiratory care. Premier Chemicals Ltd are the exclusive global distributor of these products for all non-medical applications. Intersorb® and Spherasorb® are absorbents which chemically convert gaseous carbon dioxide (CO₂) to solid calcium carbonate (CaCO3) which is retained within the absorbent, thereby removing carbon dioxide from the gas stream. This chemical absorbent contains mainly calcium hydroxide (Ca(OH)2) and water. 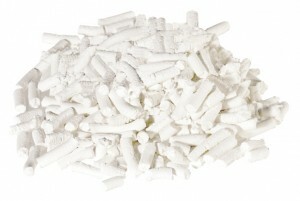 The calcium hydroxide reacts with CO₂ to form calcium carbonate which is retained within the absorbent bed. Soda lime is generally graded by the particle size of the individual granules. In general, for a given volume, a smaller particle size material will provide greater CO₂ absorption capacity than a larger particle size. However, the rate of flow of gas through the absorbent bed must also be taken into to account in the specific application due to potential problems with pressure drop (restricted gas flow). Chat to one of our experts now! Intersorb® 812 (8-12 Mesh particle size) and Intersorb® 408 (4-8 Mesh particle size) are conventional soda lime carbon dioxide absorbents comprised of short porous strands. 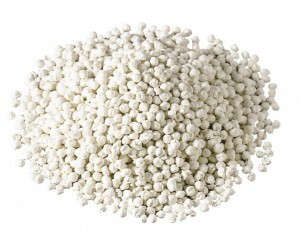 Spherasorb® 408 is a conventional Soda Lime carbon dioxide (CO₂) absorbent of spherical shape. The combination of the spherical shape and particle size leads to good packing within the absorber/scrubber unit, very low dust levels and relatively low breathing resistance. Diving – Rebreathers (CCR’s), saturation dive systems for commercial subsea applications.